Another new release from Habanos to add to the existing Aged series. The Añejados series saw its first releases in 2014. The cigars in this series are aged in their boxes for five to eight years before release. This Partagas is superb, with a true aged feeling to the smoke. 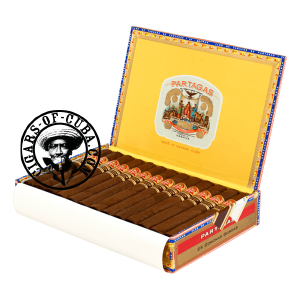 Every cigar smoker dreams about sampling an aged Cuban Partagas cigar. This is now possible with Habanos’s recent addition to its Añejados series. The Partagas Coronas Gordas are at their peak, delivering a powerful blend of leather and strong woody aromas. The cigar becomes more intense as you smoke through the phases with a finish that reminds us of an ‘old’ Havana type smoke. A fantastic experience for any palate looking to experience a cigar as it was intended to smoke. If you want to experience an aged Cuban without the hassle of going through the aging process, here is your chance.